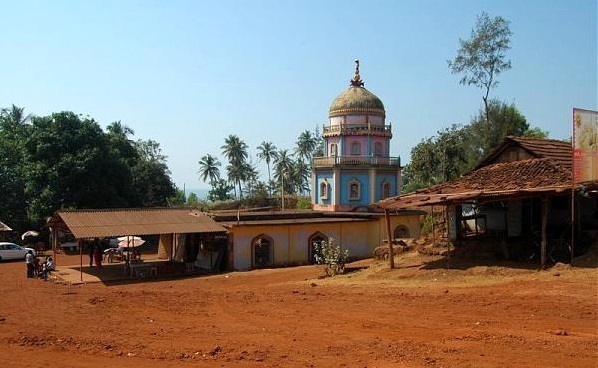 Redi is a quaint little coastal village that belongs to the district of Sindhudurg in Maharashtra. Originally known as Redipattanam, Redi is located very close to the shores of the majestic Arabian Sea and is dotted with plenty of cashew and coconut trees. The Village belongs to the Vengurla Talkua and was a significant sea port during the earlier times. Redi has now evolved into a tourist hub because of its long virgin and unspoiled beaches alongside archaic historic monuments like the Yashwantgad Fort. Redi is merely 566 km away from Mumbai and can be easily reached. The Ganapati temple of Redi is located approximately 30 km from Vengurla, in the small villiage of Redi. 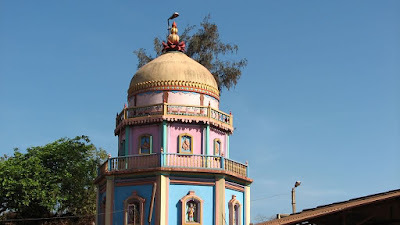 The town in which this temple is situated contains manganese mines and the Ganpati idol was found in one of the mines near Rewati port in 1976. 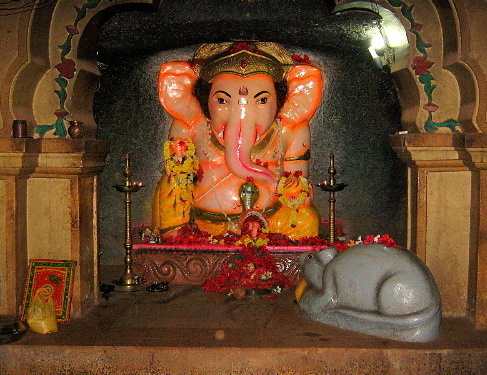 The Ganpati idol is in a sitting position and approximately 15 meters in height. There is a small rocky beach behind the temple. Redi Ganesh Vengurla In Sindhudurg It's foundation story is a follows: On April 18th, 1976 one truck-driver, Sadanand Nagesh Kambali parked his truck at a particular place. This truck used to ply from Reddi's (iron & minerals) mine to harbour. That truck -driver slept there and he had a dream. In dream, God Ganesha gave him divine appearance and told him to dig at the very same place, since He(God) is residing there. He had great faith in Lord Ganesha. 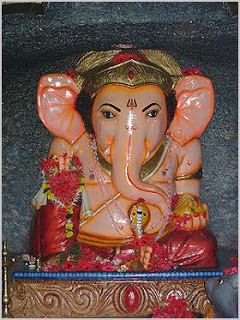 As per his dream, he started digging there and to the astonishment of all the villagers, there appeared two-handed idol of Lord Ganesha, carved in solid rock. The date was 1st May 1976. After seeking omen from Gram–Devata (Village deity), it was decided to build a temple at the very spot and establish this deity. After few days, in the same area they excavated a big idol of mouse, which is a traditional vehicle of Ganesha. These idols are very pretty and graceful. Today one. can visit beautifully built temple and get delighted by taking "Darshan" of the adorable deity. Hotels are available near temple. By Air : Nearest is Goa dabolim. By Rail : Nearest railhead sawantwadi 37 Km.